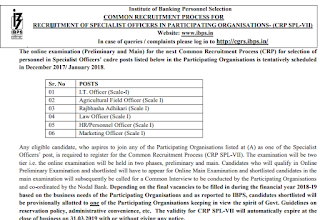 IBPS 2017 Special Officer Recruitment Notification released. IBPS released the Notification for the specialist post over the country. Interested candidates can fill their online application by visiting official website of IBPS at ibps.in or from the direct link given below.